Finsihed up some more of the models for the client who had me paint the two dwarfs. 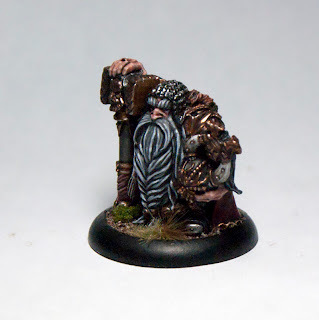 In this pair is another dwarf and a halfing (hence why I was trying to go for a short pun in the title...). I like how they both turned out. They are both supposed to be a part of the same band of adevnturers from my understanding so I tried to make them look like they are individual but still coherent. 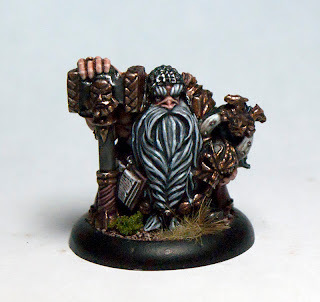 The dwarf is an Avatar of War model and the Halfling is a Enigma model. I have one more model to paint up for this band, an elf, and then I get to work on a sweet Giant model from Reaper for the same client. 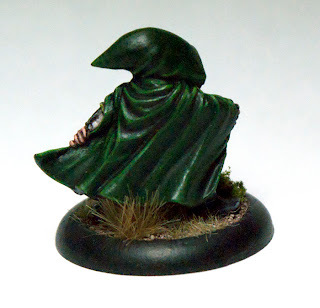 The only direction I was given for the Halfling was that he needed a dark green cloak. 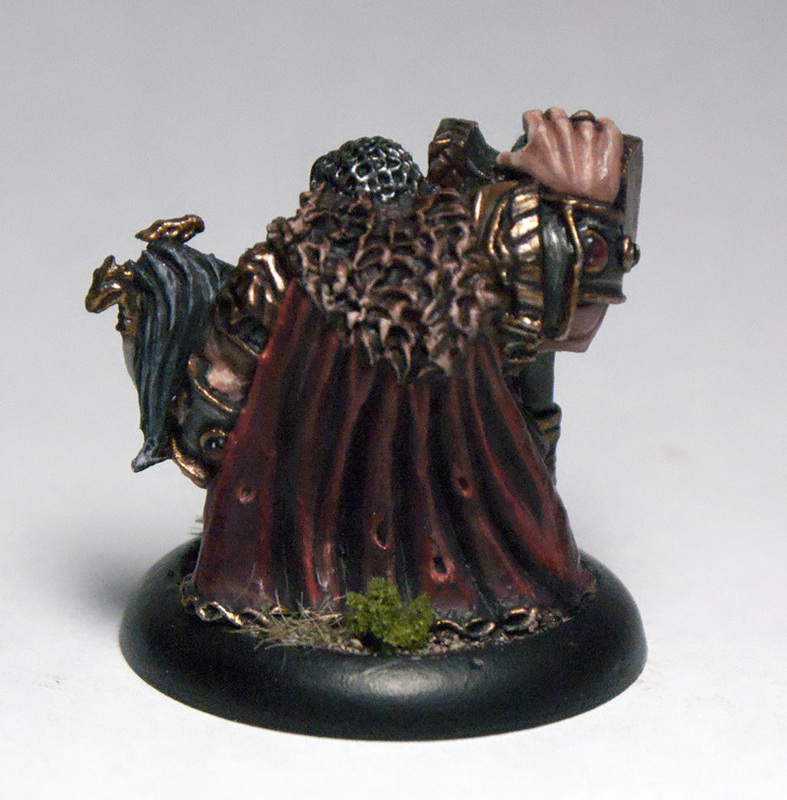 As I have just finished the A Song of Ice and Fire saga and all I could think of while painting this fellow is Tyrion. I know he looks nothing like Peter Dinklage, but some of the other artwork I have seen of Tyrion before the show came out looks very similar to this model, he has the leer down for sure. 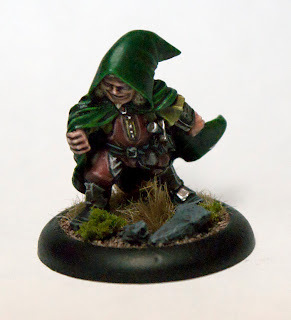 I feel like this is helped even more by the fact that there is nothing that really shouts "fantasy halfling" about him like hairy feet or pointy ears, so I gave him blonde hair. I also enjoy painting blonde hair since usually no one does it, or if they do it looks more yellow then blonde.